1. Laying Corner Stone for Campus Building, Storer College, Harpers Ferry, W. Va. 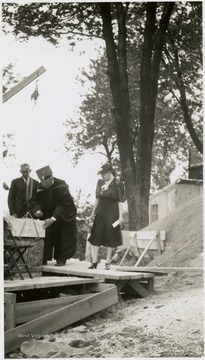 Laying Corner Stone for Campus Building, Storer College, Harpers Ferry, W. Va.